Our Logic Smoke Hillington e liquid tastes like a famous luxury brand of cigarette. Taste the mild tobacco flavor when you inhale and enjoy a hint of vanilla and hazelnut when you exhale. This flavor is reminiscent to smoking a real cigarette without the smoke and ash. 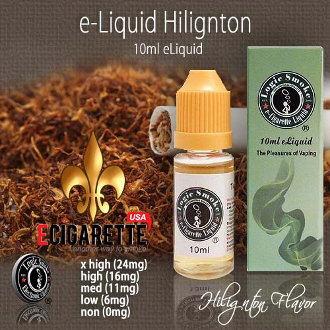 Pick up a bottle of our Hillington e liquid from Logic Smoke and enjoy.